It looks like the class org.postgresql.Driver hasn't been found. I tried to install every Module related with Postgresql but nothing seems to work. I also download the .jar and tried to add those external jar via the Module panel but it also doesn't work. 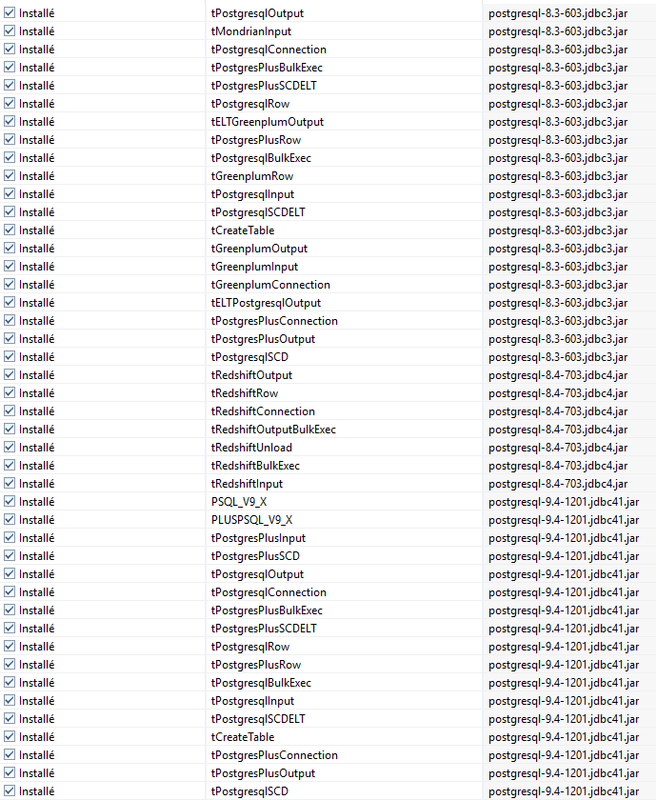 Have you tried to restart your studio after install every Module related with Postgresql to see if it works? Yes, I also restarted my computer. 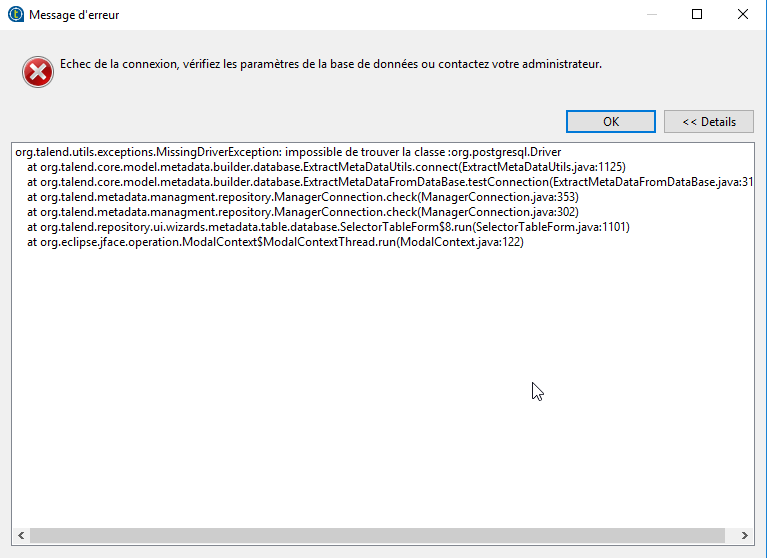 I tried to reinstall Java 8 JDK and JRE and to put again the JAVA_HOME environment variable but nothing changed. Do you have any more ideas ? Would you mind making a testing on V 6.3 to see if this issue repro? What's postgresql DB version you are using? I tried with version 6.2 and it seems to work. For information I am using PostgreSQL V9.6.2.